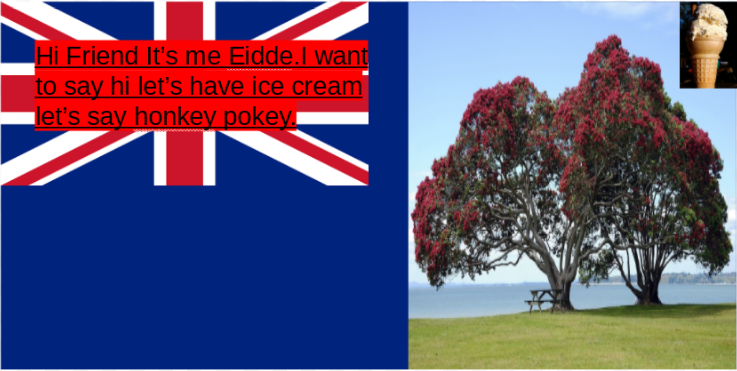 So first i research the New Zealand flag.Then I got the Pohutukawa trees.Then the ice cream is in the right corrner so it won't be in the way. I really love this postcard you have made! I especially like the pohutukawa trees, I think they are beautiful trees. I also like that you have included your Hokey Pokey ice-cream, is that your favourite flavour? You have done a great job of adding your kiwiana to this postcard! 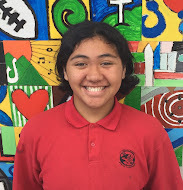 Keep up the awesome work with your blog Hazel, it's looking amazing!